Shubunkins are a variety of goldfish developed in Japan during the early part of the 20th century. While they're suitable beginner fish, they grow to 6 inches or longer, so they need plenty of space. These goldfish are hardy creatures who can tolerate a range of environments, but it's important that you house them with the right companions. They're generally social creatures who prefer to live in a community tank. Shubunkins like company, but they aren't schooling fish -- so they won't be unhappy if they're not kept with others of their kind. However, these peaceful and social fish do get on well with others of their species, so you can keep several as long as you have a large enough tank. A single fish of this species needs an aquarium of at least 30 gallons and an extra 10 gallons for each additional fish. As a goldfish species, shubunkins are generally compatible with other kinds of goldfish. They're best kept with faster-moving species, such as common goldfish or comets, allowing all to compete on equal footing for food. Many fancy goldfish, including telescope or bubble-eye goldfish, swim slowly and may find it hard to get to any food before your shubunkin gobbles it up. 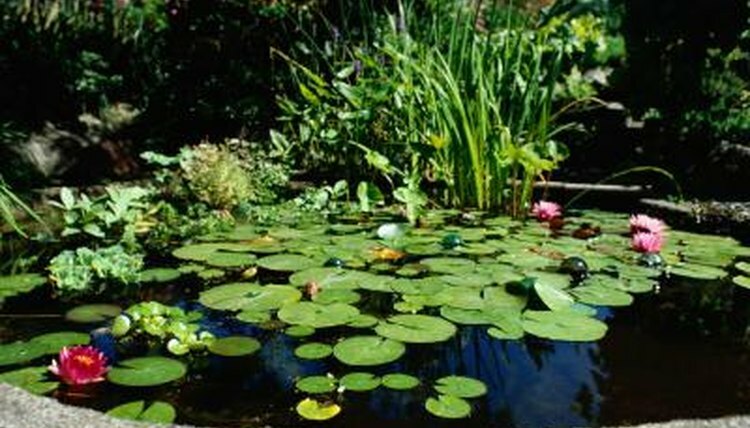 You can choose to house your shubunkins in an outdoor pond, rather than in a tank. This solves the problem of space and may allow specimens to grow much larger than average -- often 13 inches long or more. If you do keep shubunkins in a pond, some good companion choices are koi and orfe. Like goldfish, both of these species descended from wild carp, so they all have similar care requirements and temperaments. Shubunkins will usually get along with any peaceful species of fish, although -- as with fancy goldfish -- it's best not to house them with especially slow-moving fish. Bitterlings or northern redbelly dace are good choices, but any nonaggressive species that share the same water requirements as shubunkins will be fine. However, avoid keeping them with any far smaller fish, as it could be harder for them to compete for resources.